Yes, it was because of the people who are living with partners with this little-recognized form of sociopathy. However, this book falls short of listing the even more dangerous situations that arise from living with someone with this personality disorder. I readily understand that this is a non-fiction account of the author's life and I admire her courage in writing it. I only wish that there could have been an introduction to Jen's story by a mental health professional who could explain the causes and treatments for this condition. Would you recommend A Beautiful, Terrible Thing to your friends? Why or why not? Yes, I would. Hopefully it would make them more aware of how to avoid people with this disorder or cope with them if they must. Did A Beautiful, Terrible Thing inspire you to do anything? To be more aware than ever before. I have been through a similar situation with a person who was admired as a hero, an intelligent professional but who, behind closed doors, was violent and mentally abusive and lived a secret life. 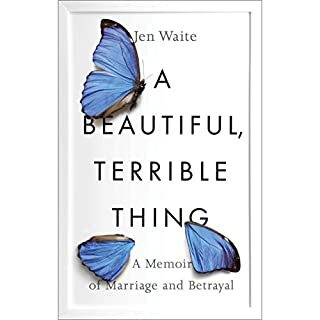 He destroyed both our lives but, with help and counseling, I recovered to find the joyous life and partner who were waiting for me. I wish the same for all who face the heartbreak of similar experiences. I was in the mood for something scary. As if life, today, isn't scary enough! The Hatching started off with great promise but I should have believed all the lookwarm reviews because the promise didn't last. Too many location changes, too many characters and not enough explanation about the spiders. Oh yes, the spiders! Think of the little hairy aracnapods with all the personality and feeding habits of piranhas and you get the picture! The story had potential but never lived up to it and the ending gave me the impression that the author didn't really know how to end it...or maybe he's planning a sequel? If so, I'll pass! I had never read Thomas Hardy before taking a course in British Literature from The Teaching Company...that whetted my appetite! 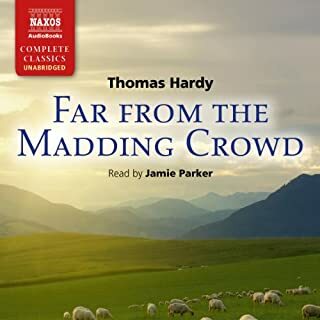 Sure, I had seen movies and Masterpiece Theatre presentations and thought they were brilliant...but now that I've read two books, including THE MAYOR OF CASTERBRIDGE and FAR FROM THE MADDING CROWD, the smartest thing I did was read the books.Thomas Hardy's prose is true poetry. His descriptive passages put you so deeply into the scenery that you can almost smell the grass and feel the breezes! And MADDING CROWD literally will make you count sheep...if you can put the book down long enough to get some rest! It is that intriguing a plot and the characterizations are so true to life that you find yourself reading with a Wessex accent! Our heroine, Bathsheba Everstone, is being courted by three diverse characters...lucky girl? Well...we'll see! The first is Dominick Oak...now there's a name that describes this hardy shepherd to a tee. He's big and sturdy as an oak...and and gentle as one of his flock.Then there is William Boldwood, a mature man who is both wealthy and a bit obsessive! And finally, the dashing Sergeant Francis Troy who arrives with a secret past and one might say, turns life upside down for more than a few folks in this little town of Wetherby.The plot winds and twists and turns and you never quite know where it's going...but it keeps you in suspense and wanting to read "just one more chapter" before turning off the light. In my case, the sun was coming up by the time I wearily put the book down and tried to figure out how to make room in my day to pick it up again!Compare Hardy's writing to most of our modern day authors and they will not make the cut. This is poetry in the disguise of prose! And much easier to digest too!I will continue on my study of Thomas Hardy, such a bonus for taking this Teaching Company course! My intention is to read everything by Hardy that I can find. Now I wish I knew a way to get more of you good people of Goodreads to join me! What did you love best about Bunker Hill? This is a precise and superbly researched book. If you love detail and want to depend that it is factual and true, you can count on Nathaniel Philbrick each and every time. 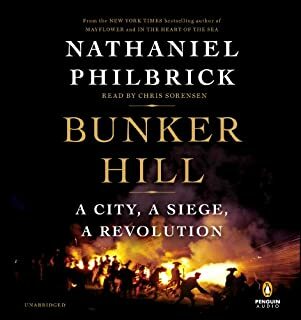 BUNKER HILL tells the entire story of the American Revolution from the political side to the religious and sociological side. It reveals the mistakes that both sides made and the brutality of the battles in such realism that you will feel you were a spectator. I've read two other books by Mr. Philbrick and this one meets the same standards....very high standards...that he always manages to achieve. 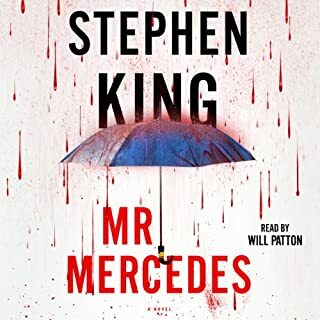 It's been several years since I read a Stephen King book...Mr. Mercedes did not disappoint. 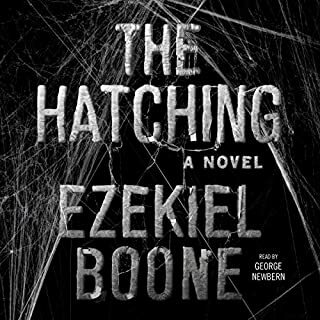 The master of horror still has it, though this book was not as "lights on scary" as some others I've read. The characters were well developed and the story-line was right out of the headlines for the most part. The psychological side of the story was fascinating...it's always interesting to discover why people are the way they are and how they can carry out horrendous crimes with little or total lack of conscience. Mr. King is a master of that. No extreme reaction except a realization that what takes place in the book can happen to any of us...that is quite scary enough. One of my favorite Stephen King quotes, and I can't resist repeating it here: "I have the brain of a teen-age boy(slight pause)..........I keep it in a jar on my desk!" Will Patton is masterful! He voices every character as though he's actually met them! He nailed it and, although this was my first Will Patton narration, I am anxious to hear more in the future. What did you like best about The Luminaries? What did you like least? 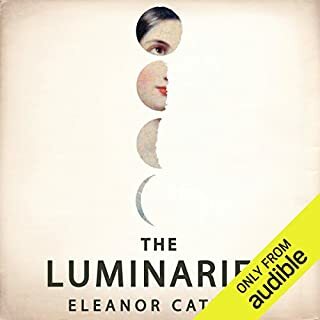 I so looked forward to reading/listening to this book...and I was completely disappointed in every aspect, except the narration. Try as I might, I could not get into this book. It was certainly not the fault of the narrator. Mark Meadows did a fine job...it was the book itself. It was tedious from the beginning. The characters were wooden and underdeveloped. I am amazed that this won the Man Booker Prize last year. There were many books much more deserving. Magical Realism at it's best. 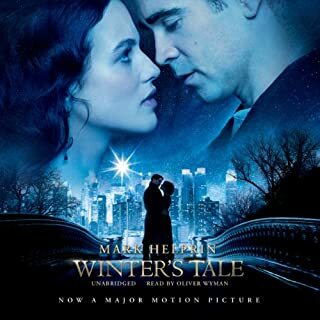 What did you love best about Winter's Tale? We once all believed in fairy tales...while listening to A WINTER'S TALE, I found myself feeling the same familiar dreamlike feeling I had as a child, listening to "once upon a time" tales. This is a purely magical blend of harsh reality and beautiful, breathtaking magic. It grabs you and holds you and you don't want it to ever end. This is what "magical realism" is all about. Mark Helprin is obviously in love with New York City and yet he shows both sides of it, the dark and dismal side of poverty and gang warfare and the ethereal side of cathedrals and people with hearts and dreams as big as the massive city they inhabit. He also takes you miles away, through storms and blizzards to a magical place called Lake of the Coheeries, where many important scenes take place. Not even possible...it's about 39 hours long! 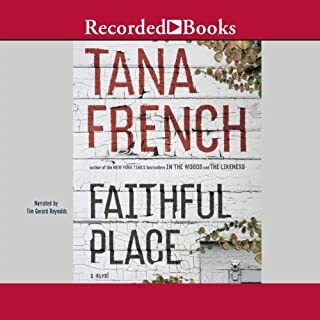 Where does Faithful Place rank among all the audiobooks you’ve listened to so far? Tana French just keeps getting better! Each book I've read has left me thinking the next might disappoint...no way. 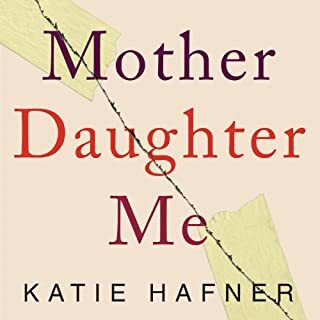 What a gift she has and I personally can hardly wait to pre-order her next book due out in September. My favorite character was Frank (Frances) Mackey. With his Irish sense of humor...and his cynical, sometimes angry, Irish temper...he is a winner and I wish he could be in each and every book. But FAITHFUL PLACE puts him in the spotlight and yet get to know him intimately and you just fall in love with him. It certainly made me laugh...hold my breath in spots...not quite made me cry but came close. I often gasped out loud, much to my favily's puzzlement! I cannot write a review without throwing roses at the narrator, Tim Gerard Reynolds. He IS Frank Mackey! 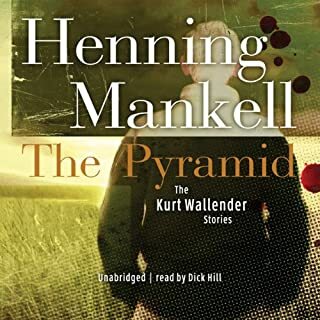 This is one of the most outstanding narrations I have yet to read and I am going to check out his other offerings and I do truly wish that he could narrate all of Tana French's books. Outstanding job, Mr. Reynolds! If you could sum up Mother Daughter Me in three words, what would they be? What was one of the most memorable moments of Mother Daughter Me? When the grand daughter packed away her cello after being criticized by her grandmother. Three women who shared the same dream of rebuilding their relationship but the reality of generational differences, old resentments, past neglect and alcohol addiction made the dream impossible. Insightfully written and with equal parts anger and compassion, it's a book that every woman can relate to.